Businessman entering safe code to unlock the door. 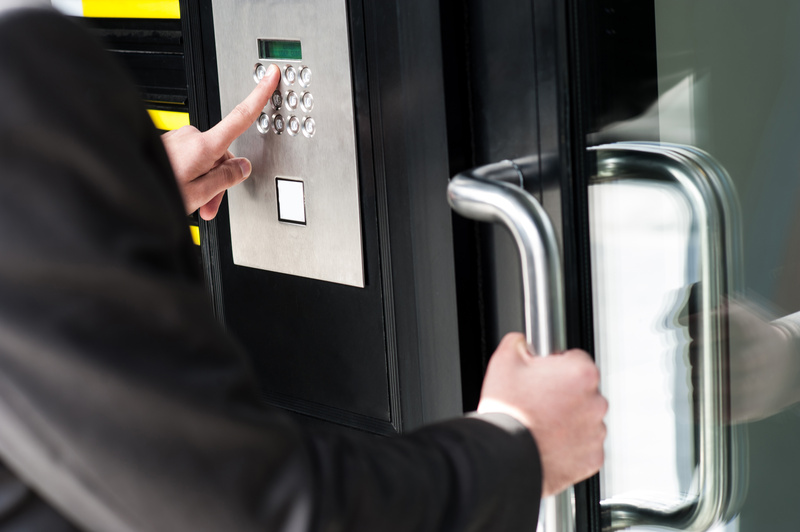 In the early days of door access control, systems featured a PIN code keypad for employees or tenants to gain entry. But increasingly, systems are becoming much more sophisticated, incorporating smartcard and biometric credentials, wireless systems and a broad range of possible integrations with other systems to keep people and assets safe. Tim Northwood, General Manager of Inner Range, talks through the latest options for your door access control system. PIN keypads still exist. But your choice in how people access your site and systems within it is more diverse. Smartcards that include door entry credentials, as well as credentials for other systems such as lifts, turnstiles and business operation systems, such as computers, printers and relevant HR programmes are much more prevalent. Smartcards can also be used for cashless vending and parking. In addition, RFID bands are an option for venues where carrying a smartcard may be difficult. Holiday parks and leisure centres are increasingly opting for RFID bands that can all be individually programmed to allow – or revoke – access to specific locations. Biometric details can be added if you have higher security needs. Fingerprint and optical sensors identify legitimate users and credentials are much harder to clone. Wireless door access control is often needed in listed or public buildings where wiring is difficult or prohibited for aesthetic reasons. Wireless locking doors can be integrated as part of an access control system providing the same safety and security measures but without the need for disruptive or unsightly cables. Intruder detection and alarms are included in all Inner Range door access control systems, so you can control access for all legitimate site users and ensure you have protection against intruders at the same time. You also need to keep security in mind with access cards. Ours come encrypted using MIFARE DESfire EV2 to ensure they cannot be read or tampered with by would-be hackers. It’s crucial you consider this element of security, otherwise you make it easy for unauthorised people to gain access by reading and cloning cards. Extra security can also include relatively simple functions, such as interlocking doors, whereby two sets of doors can never be open at the same time. This can be useful in health and education settings, for example. Choosing a door access control system with an open IP platform allows you to integrate with other useful systems. CCTV and intercom systems are often highest on the list as they help security managers monitor and control who is accessing the building.